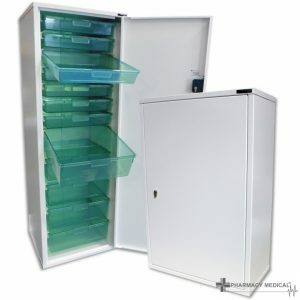 Medicine and Monitored Dosage (MDS) Cabinets designed to comply with British Standard BS2881:1989 level 1. 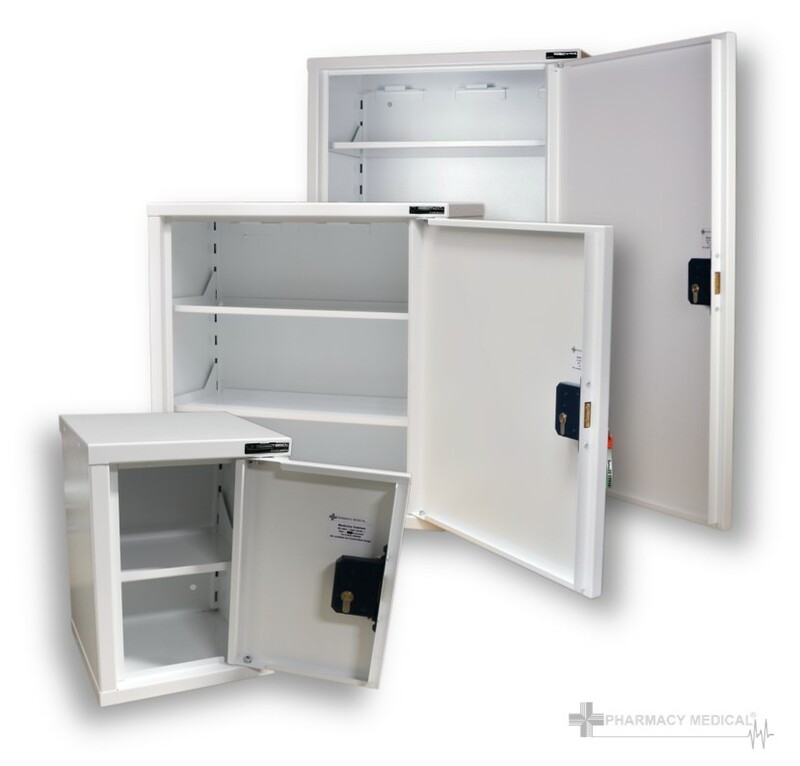 Here at Pharmacy Medical we manufacture a comprehensive range of medicine storage cabinets and trolleys for a variety of applications. All conforming to BS2881:1989, level 1, they are suitable for the storage of medicines in healthcare premises*. BS2881:1989 is the requirement for the storage of Medicines in healthcare premises within the UK. The full title is BS 2881:1989 “Cupboards for the Storage of Medicines in Health Care Premises”. 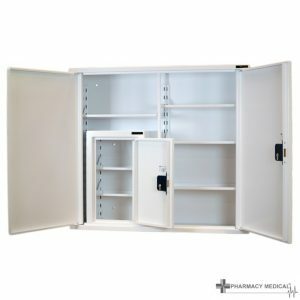 When you buy your Medicine Storage solutions from Pharmacy Medical you can be sure they will be fully compliant. Fully compliant with all the relevant regulations within the United Kingdom. You can also be sure that you will receive a first class product and service. 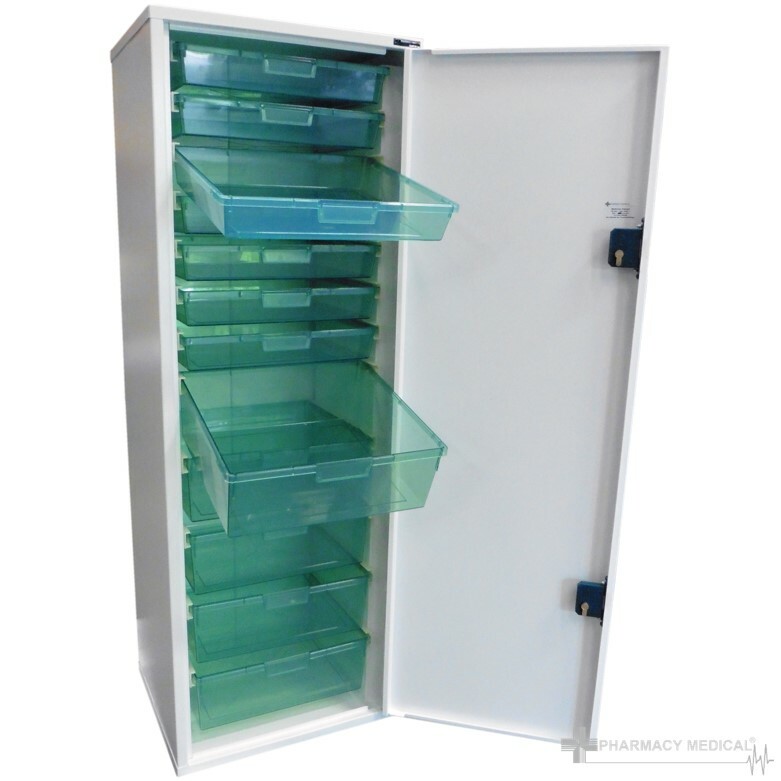 Here at Pharmacy Medical, our medicine cabinets are all made in our own factory in the UK. We have complete control over the manufacturing process from start to finish. Our medicine cabinets are built to the highest standards. Additionally, we finish them in a tough white powder coat to provide a hygienic and easy to clean surface. We manufacture these cabinets from 1.2mm thick sheet steel for added strength and security. Additionally, our medicine cabinets feature a folded and welded construction to increase rigidity and solidity. The wide range of Medicine Cabinets we offer provide a greater flexibility of use to the client. Including the facility to include a Controlled Drugs Cabinet, MDS frames and shelves within each unit. Ultimately providing a variety of uses all in one cabinet. 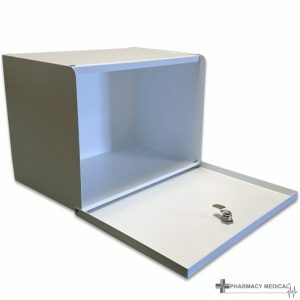 We manufacture a wide range of medicine cabinets. Available in a wide range of sizes to meet all storage requirements. Manufactured from 1.2mm thick mild steel construction, these medicine cabinets surpass BS2881:1989 Level 1. 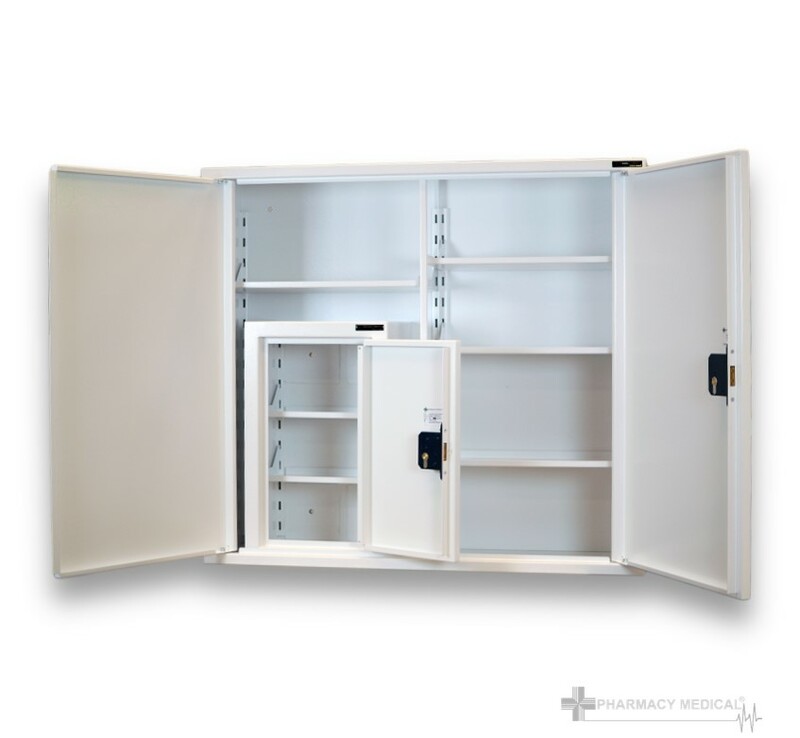 The majority of our Medicine Cabinets can be optioned with an internal Controlled Drugs Cabinet. 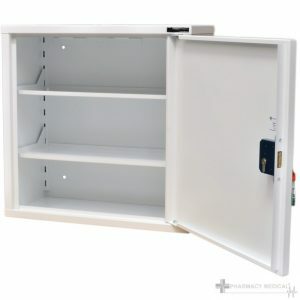 These cabinet types are very popular with care homes, where it appears to be standard practice to place a controlled drugs (CD) cabinet within a medicine cabinet. When placing a CD cabinet inside a medicine cabinet, there are additional points in the regulations to adhere to. 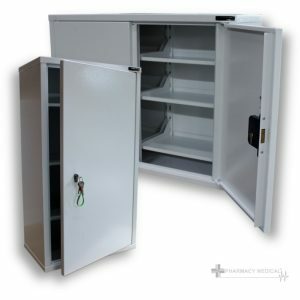 Buying your cabinet from Pharmacy Medical will ensure it complies to all relevant regulations. These trolleys are commonplace in care homes. Providing a secure area to store medication for dispensing rounds, our trolleys have been designed to be robust and reliable. Our 25 plus years of experience have allowed us to engineer out the common issues seen with many drugs trolleys on the market today. Our comprehensive range of medicine drugs trolleys will ensure there is a unit to meet your needs.